The following forms require Adobe Reader to view. If you have trouble viewing them click the "Get Adobe Reader" link to download the correct program for free. This form has ample space for five days of small group activities, skills information, songs, books, etc. If you like the flexibility of being able to switch your daily plan on a moments notice, use daily lesson plans. Write down all your birthdays and holidays first, then sort out your daily lessons before you ever commit to writing a lesson plan. 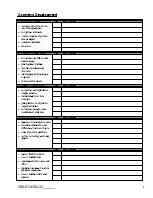 Plan your lessons around the skills on the assessment form. 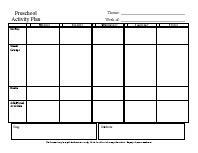 Then write your observation dates on the assessment form so you will know the skills to plan for next. 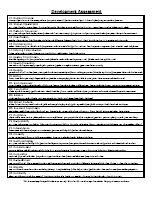 Use this form as a quick reference when you need to know skills information. 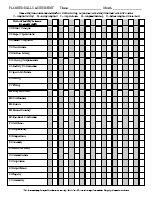 Copy this form for each child in your class each month. Use it to write down your observations for that month. 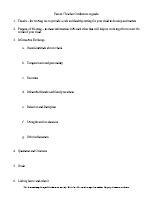 Keep them in the portfolios to refer back to from your assessment form. A blank dice you can customize for any theme. Cut out, fold on the lines and tape. 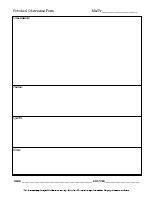 This is a great form to use for your first parent teacher conference of the year. It focuses the attention on getting to know the child better. 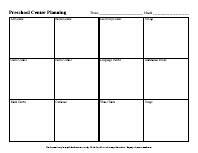 Use this form to write down all of the activities and materials you have before you begin planning the month. Make short notations about each child during the activities throughout the month. At the end of the month use it to update assessments and plan next month's activities.